Speech therapy assistant work under the supervision of speech-language pathologists to help people control their speech problems. The speech and language pathology is a discipline that deals with speech disorders and language disorders. 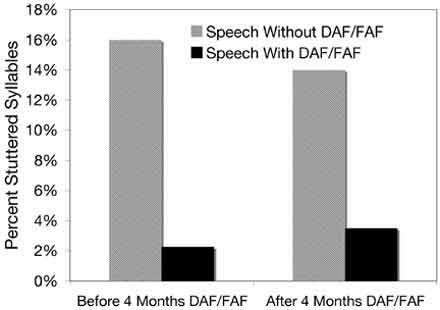 This means that speech pathology deals with various components of speech, including phonation, the process of sound production; resonance, opening and closing of the vocal folds; intonation, the variation of pitch; and voice, including aeromechanical components of respiration. As a speech therapy assistant in healthcare, an individual’s primary task would be to promote healthy lifestyle practices for the preservation of communication, hearing, swallowing, or other upper aero-digestive disorders. Moreover, this professional will need to provide and appropriately hold diagnostic and treatment services for different patients and advocate through community awareness, education, and training programs. The role of a speech therapy assistant is to treat specific problems of patients and teach them how to communicate to the best possible extent. Sometimes they will only have to work with patients who have eating and swallowing problems, due to the various health issues. A speech therapy assistant will cooperate with many other professionals, including doctors, nurses and psychologists. Most of their patients are children and sometimes adults who have difficulty understanding spoken language, producing and using speech, feeding, chewing or swallowing, a stammer or voice problems. However, their patients are sometimes stoke sufferers, people with head injuries, neurological disorders, cancers of the mouth and throat, people with dementia, psychiatric disorders, as well as those with learning or physical disabilities. An ideal speech therapy assistant is also a good communicator and very compassionate person who enjoy helping others in need. This person also has to be very patient and to be prepared to deal with a slow progress with some of the patients. An ideal speech therapy assistant also needs to be well grounded person and someone who knows how to set reasonable expectations and to supply needed encouragement to the patients. Speech therapist assistants should be familiar with different science disciplines, and they should have very strong communication skills in English, drama, and speech classes. It would also be desirable if a speech therapist knows at least one of the foreign languages. This advantage may help the speech therapist assistant to communicate with the wider range of clients and to make them feel comfortable. A speech therapist assistant should also be ready to volunteer on a speech or hearing clinic, a hospital, a school, or an elder care facility. Garbled Speech, What's Going On? Where I can get Physical Therapists and Physical Therapy Assistants in Texas?